There’s nothing worse than being separated from loved ones. Worse is when it’s a baby, child, kid, youth, teen being separated from a parent in a country foreign to them and accommodations are less than favorable. Treated like pigs in a pen with barbed wires as the trim to their diamond wire wallpaper and heatsheets topping their tar topped mattresses. Hardened criminals are treated better than this. No parents or children should have to experience this kind of pain, nor should they have to view their loved one as if they are on display like farm animals. Children who accompany their parents chasing their dreams for a better tomorrow don’t have a choice in the matter. Parents are just trying to do right by their family. The lines between right and wrong are not always clear when you’re chasing a dream. America is known as the land of opportunity. Are we meant to crush the dreams of others? I certainly hope not. 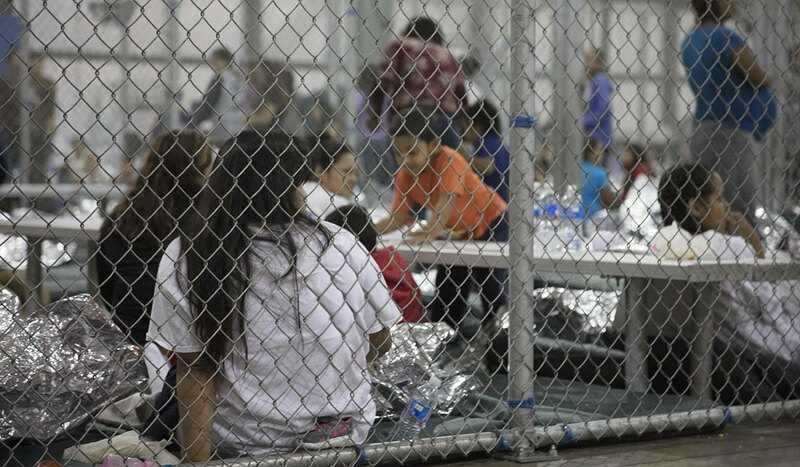 These young children may now see us all as the monsters that caged them. I know I don’t want to hold that title. Do you? There has to be better answers than what’s currently happening, lots of empty promises, and crushed dreams.